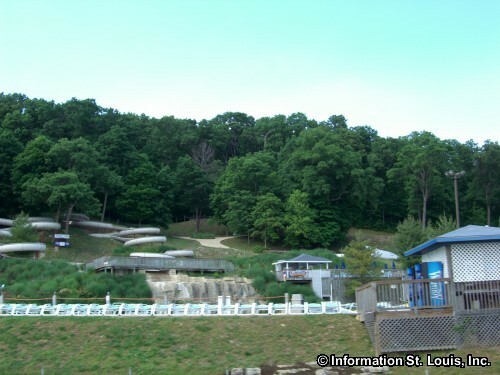 Raging Rivers Waterpark is located in Grafton, Illinois along the Great River Road overlooking the Mighty Mississippi River. It's a fun day in the water with a scenic view! The littlest visitors will enjoy the Itty Bitty Surf City with water slides and splash pools just their size. Everyone will enjoy the Endless River where lounging on a tube as it floats smoothly along can be a relaxing break or a way to spend the day. Or crank it up and ride the Swirlpool for a fast and furious spin around the giant vortex. The waterpark has something for everyone. 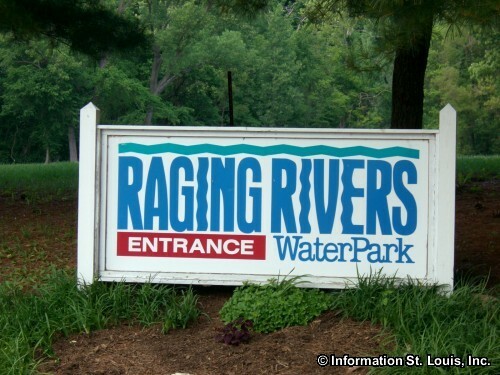 Raging Rivers is located about 40 minutes from St. Louis on the Great River Road (Illinois Highway 100). Open Memorial Day through Labor Day. The waterpark opens at 10:30am each day and closes at 6pm or 7pm-check website. All day passes, season passes or after 3 pm passes are available. Children under two are admitted free.